Between 2005 & 2013, Mapletree Logistics Trust, Mapletree Industrial Trust, Mapletree Commercial Trust & Mapletree North Asia Commercial Trust listed on SGX. Since their IPOs, the four Mapletree REITs have averaged 13.3% annualised total returns. Three of the Mapletree REITs are in the STI Reserve List - used to advance stocks into the STI should an STI constituent be deleted ahead of the next quarterly review. For 1HFY18/19 (ending 30 Sep), the four Mapletree REITs all reported YoY growth in Gross Revenue & DPU. In 2018 YTD, the four Mapletree REITs averaged a 1% decline in total return, following 33% average total returns in 2017. By comparison the FTSE EPRA/NAREIT Asia Pacific ex-Japan Index declined 3% & the iEdge S-REIT Index declined 4% in the 2018 YTD. Mapletree Investments was established in December 2000 to hold non-port properties transferred from PSA Corporation to Temasek Holdings. Since joining Mapletree in 2003 as Group CEO, Mr Hiew Yoon Khong has led the Group from a Singapore-centric real estate company worth S$2.3 billion to a global company with total assets under management of more than S$46 billion. Between July 2005 and March 2013, Mapletree Logistics Trust (“MLT”), Mapletree Industrial Trust (“MIT”), Mapletree Commercial Trust (“MCT”) and Mapletree North Asia Commercial Trust (“MNACT”) have listed on SGX. The combined IPO market capitalisation of the four REITs was S$5.8 billion, and stood almost three times larger, at S$16.0 billion on 23 November 2018. Assuming distributions were reinvested into the REITs, the four REITs have averaged 13.3% annualised return from their IPO dates. Three of the four Mapletree REITs (MCT, MLT & MIT) make up the majority of the STI Reserve List which is used to advance stocks into the STI in the event that one or more of the STI constituents are deleted during the period up to the next quarterly review. The other two stocks that make up the STI Reserve List are also REITs - Suntec REIT and Keppel REIT. See here. The shorter-term performances for the four Mapletree REITs are tabled below. In the 2018 year to date, the four Mapletree REITs averaged a decline of 1.2% in total return following a 33.1% average total return in 2017. By comparison the FTSE EPRA/NAREIT Asia Pacific ex Japan Index declined 3.3% and the iEdge S-REIT Index has declined 4.0% in the 2018 year to date. Mapletree Commercial Trust (MCT) reported 1HFY18/19 Gross Revenue grew 1.6% YoY to S$218.5 million, with Distribution per Unit (“DPU”) up 0.7% YoY, click here for more. Mapletree Logistics Trust (MLT) reported 1HFY18/19 Gross Revenue grew 11.9% YoY to S$212.1 million, with available DPU up 3.7% YoY. The manager noted revenue growth was mainly due to organic growth from existing portfolio and recent two acquisitions in Hong Kong, click here for more. Mapletree Industrial Trust (MIT) reported 1HFY18/19 Gross Revenue grew 1.3% YoY to S$183.7 million, with DPU up 1.5% YoY, click here for more. Mapletree North Asia Commercial Trust (MNACT) reported 1HFY18/19 Gross Revenue grew 12.4% YoY to S$199.0 million, with DPU up 2.5% YoY, click here for more. Revenue growth was mainly attributed to the contribution from the Japan Properties and revenue growth from Festival Walk, Gateway Plaza and Sandhill Plaza as a result of higher rental rates, partially offset by the lower average rate of HKD. The four Mapletree REITs currently maintain an average dividend yield of 6.3%. There is also a degree of consistency in the yields, which currently range from 5.6% for MCT to 7.0% for MNACT. 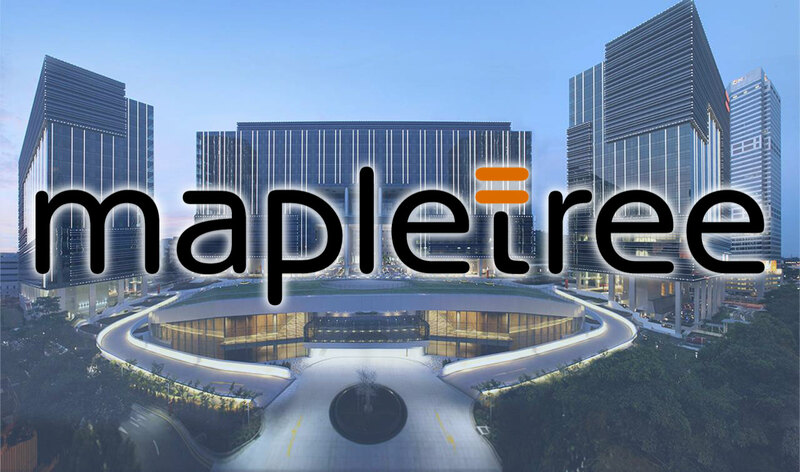 As discussed here the Mapletree business strategy covers the whole real estate investment process. This spans deal sourcing and origination, acquiring and assembling a portfolio of high-potential assets for investment, development and asset management, to strengthening the portfolio for value creation and to generate returns upon exiting the investment. This article is provided by SGX My Gateway. SGX's investor education portal with market, product and investment information and events. Sign up now at sgx.com/mygateway to receive our investment updates and economic calendar. This document is not intended for distribution to, or for use by or to be acted on by any person or entity located in any jurisdiction where such distribution, use or action would be contrary to applicable laws or regulations or would subject Singapore Exchange Limited (“SGX”) to any registration or licensing requirement. This document is not an offer or solicitation to buy or sell, nor financial advice or recommendation for any investment product. This document is for general circulation only. It does not address the specific investment objectives, financial situation or particular needs of any person. Advice should be sought from a financial adviser regarding the suitability of any investment product before investing or adopting any investment strategies. Use of and/or reliance on this document is entirely at the reader’s own risk. Further information on this investment product may be obtained from www.sgx.com. Investment products are subject to significant investment risks, including the possible loss of the principal amount invested. Past performance of investment products is not indicative of their future performance. Examples provided are for illustrative purposes only. While each of SGX and its affiliates (collectively, the “SGX Group Companies”) have taken reasonable care to ensure the accuracy and completeness of the information provided, each of the SGX Group Companies disclaims any and all guarantees, representations and warranties, expressed or implied, in relation to this document and shall not be responsible or liable (whether under contract, tort (including negligence) or otherwise) for any loss or damage of any kind (whether direct, indirect or consequential losses or other economic loss of any kind, including without limitation loss of profit, loss of reputation and loss of opportunity) suffered or incurred by any person due to any omission, error, inaccuracy, incompleteness, or otherwise, any reliance on such information, or arising from and/or in connection with this document. The information in this document may have been obtained via third party sources and which have not been independently verified by any SGX Group Company. No SGX Group Company endorses or shall be liable for the content of information provided by third parties. The SGX Group Companies may deal in investment products in the usual course of their business, and may be on the opposite side of any trades. SGX is an exempt financial adviser under the Financial Advisers Act (Cap. 110) of Singapore. The information in this document is subject to change without notice. This document shall not be reproduced, republished, uploaded, linked, posted, transmitted, adapted, copied, translated, modified, edited or otherwise displayed or distributed in any manner without SGX’s prior written consent.